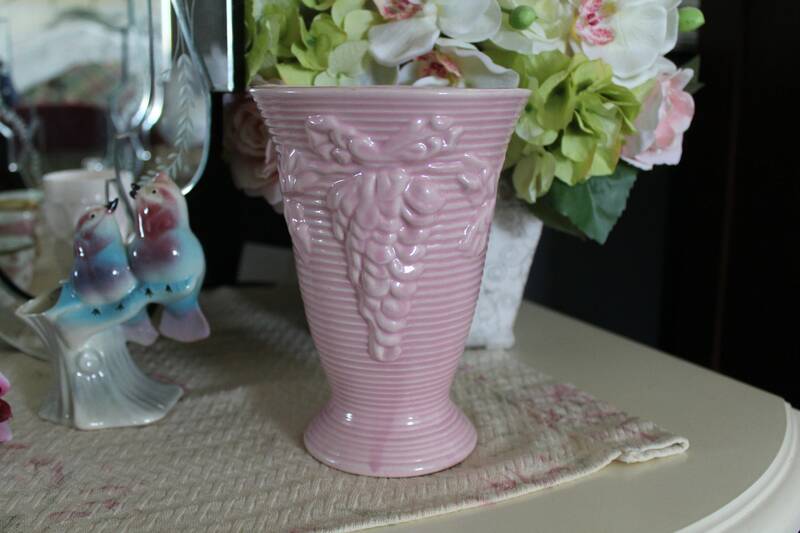 This vintage pink pottery vase has horozontal ribbing and raised flowers that look like wisteria. It may be Camark. It was made sometime around the 1940s. It would look lovely on an Art Deco console or vanity. It would also be at home in a shabby chic, cottage or farmhouse décor. This pink ceramic vase is in excellent vintage condition with typical firing flaws of the age such as specks and glaze drips. Please use your zoom for a good look.